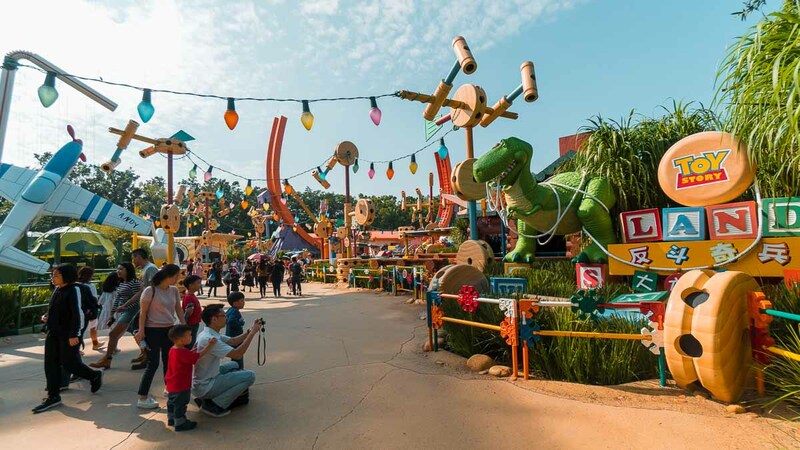 With Broadway-level performances, unique rides, and magical surprises at every corner, Hong Kong Disneyland is now bigger and better than ever. 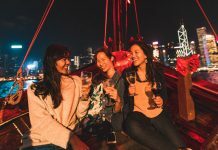 Here’s the complete guide to planning your own magical holiday, right in the heart of Asia! 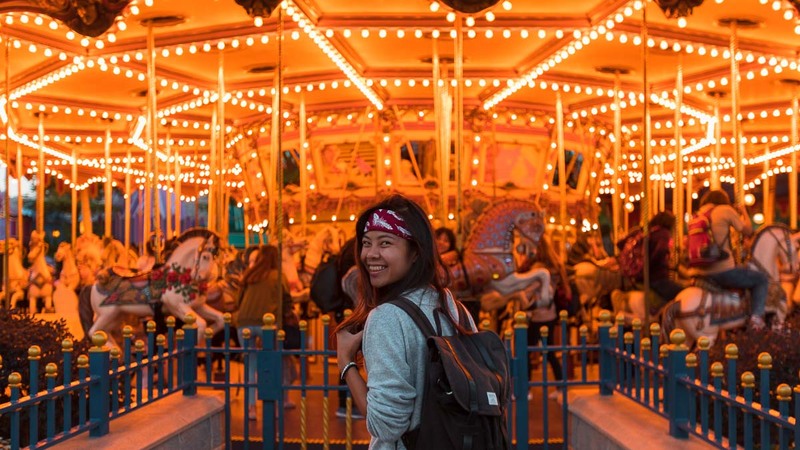 I’ll be honest: When I first visited Hong Kong Disneyland a decade ago, I was underwhelmed. It was a small theme park, with attractions that seemed like a watered-down, almost pirated version of Disney magic. 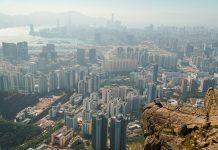 So when the park became part of our plans on our latest 7D Hong Kong trip, my reaction was a solid “meh”. But this story has a happy ending — cheesy, but that’s what this park has done to me — and I didn’t want to leave. 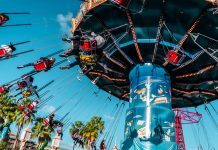 The new-and-improved rides, shows, and decor are nothing short of world-class, and there’s a real sense of magic in the air. And I say this as a full-grown adult, so you know it must be true! 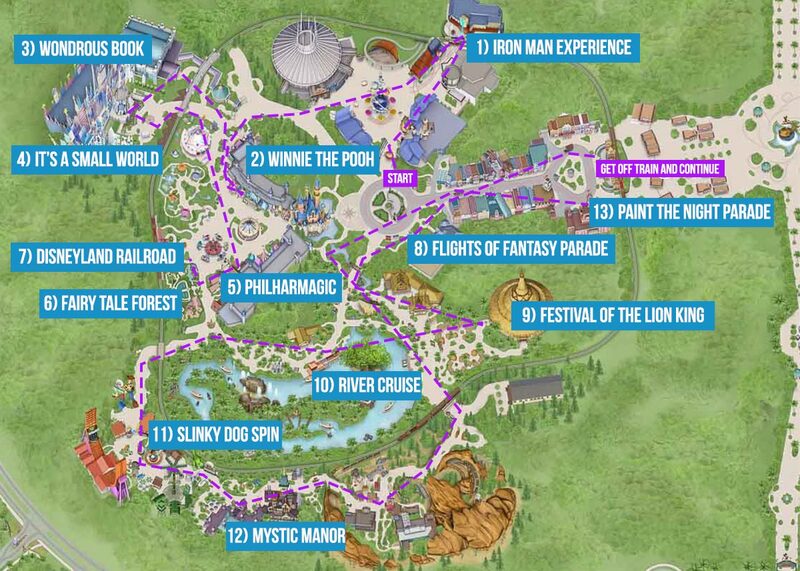 There are now seven different lands to explore, including three new ones — Toy Story Land, Grizzly Gulch, and Mystic Point — and two more Frozen and Marvel-inspired lands in the works. Looks like Hong Kong Disneyland’s wow factor will just keep going up from here. 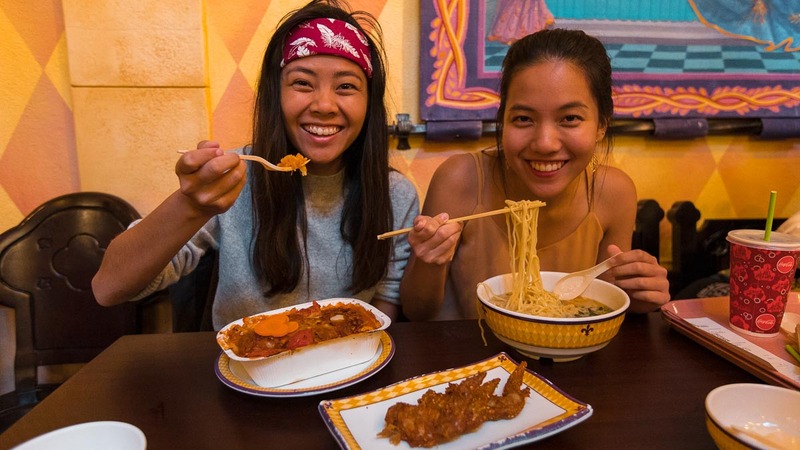 Far from diluting the magic, the East-West fusion makes Hong Kong Disneyland extra special. Fun fact: The unexpected sharp bend at the entrance is a fengshui precaution to stop fortune leaking into the South China Sea! Design aside, you’ll also find attractions not found in any other Disneyland, like the first-ever Marvel ride and a unique spin on the Haunted Mansion — more on that later. 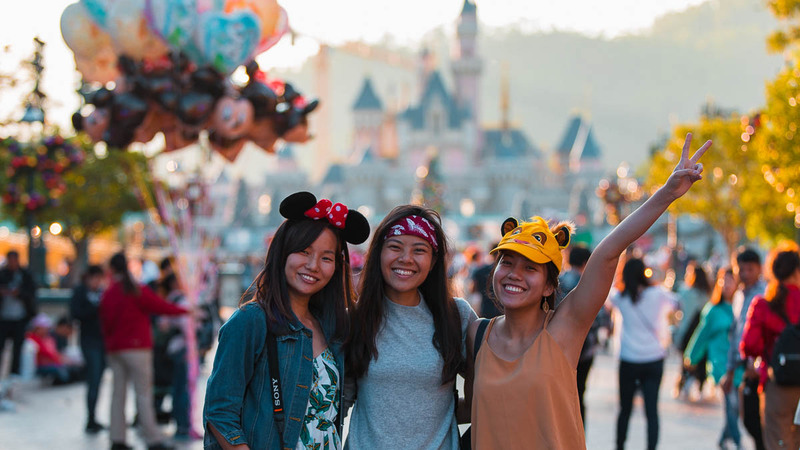 We’ve seen the shows and done the research, so read on for pre-visit tips, must-do attractions in each land, exclusive secrets, suggested routes, must-eats, FAQs, and updates on new expansions — everything you need to make Hong Kong Disneyland a real walk in the park! 1) Avoid Visiting During Peak Periods: If heat and humidity drive you nuts, visit during the cooler months of October to April (bonus: this period sees Halloween and Christmas festivities transforming the park). Also steer clear of weekends, school holidays and China’s Golden Week holidays to avoid crowds! 2) Pre-Book Tickets to Save Money and Skip the Queue: Enjoy over 10% in savings by booking through Klook. Our one-day pass cost ~S$94, compared to the HK$619 (~S$108.61) price tag on the official site. We also skipped the long lines at the entrance, and simply flashed our in-app voucher to enter the gates! 3) Download the Hong Kong Disneyland App: It may be a small park, but these legs were made for riding coasters, not walking aimlessly! With the free Hong Kong Disneyland mobile app, we checked attraction wait-times, showtime schedules, and got there fast with the GPS-enabled park map. Getting to Hong Kong Disneyland: The cheapest (and most scenic) way of transport is via MTR trains. 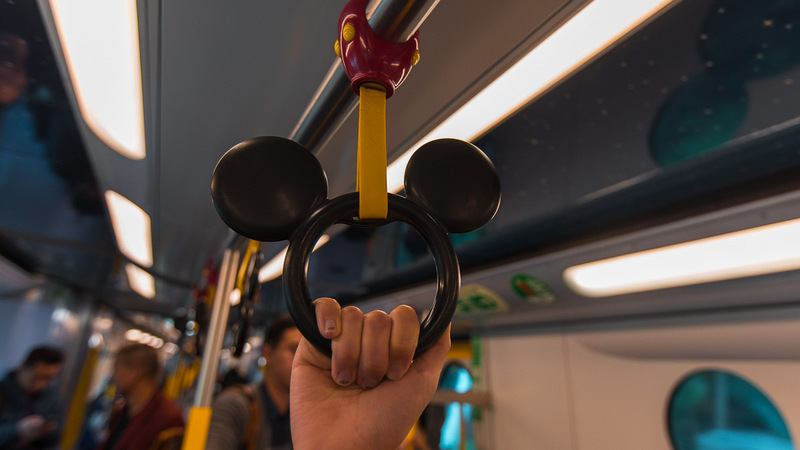 Take the Tung Chung Line to Sunny Bay Station, transfer to the Disneyland Resort Line and onto the Disney train. It’s hard to miss, with adorable Disney-themed handles and memorabilia! If you’re coming from the airport, it’s a 20-minute taxi ride which costs ~HK$180 (~S$31.58). 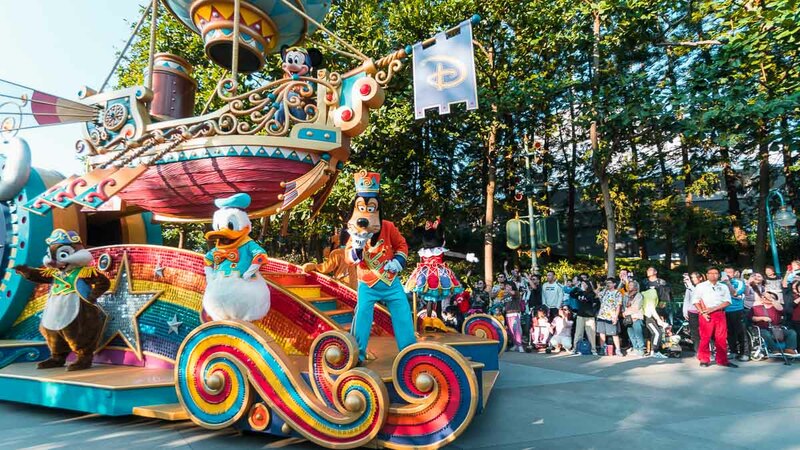 Hong Kong Disneyland Opening Hours: Generally 10AM – 9PM, but check online for updated hours. Arrive promptly at opening time because crowds usually build up only later in the day. 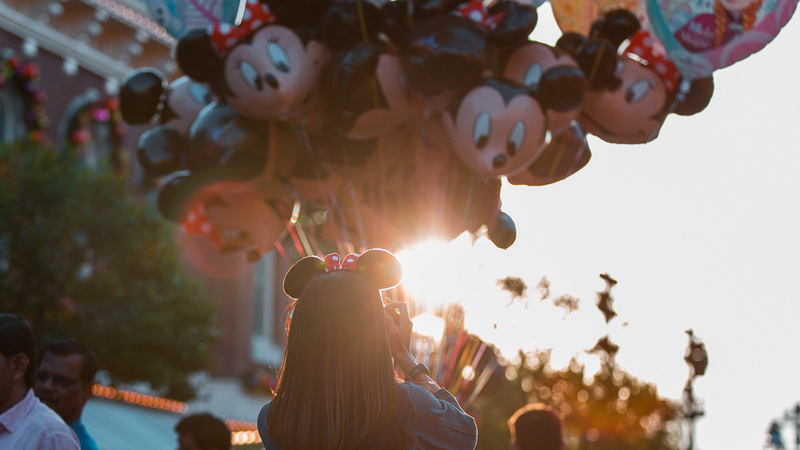 With so many shows, rides, and beautifully-designed lands, you’ve got to know the absolute must-dos to make the most of your limited time. Here’s an overview of unique highlights across the seven themed lands. Designed like a bustling 20th-century American town, Main Street, USA is where the, well, main action happens, with key parades and guest utilities. Walking through this area is like entering the idyllic scenes of Lady and the Tramp, a throwback to simpler days gone by. 1) Hong Kong Disneyland Railroad: a scenic train ride that passes through all the lands, ending at Fantasyland — the furthest end of the park. 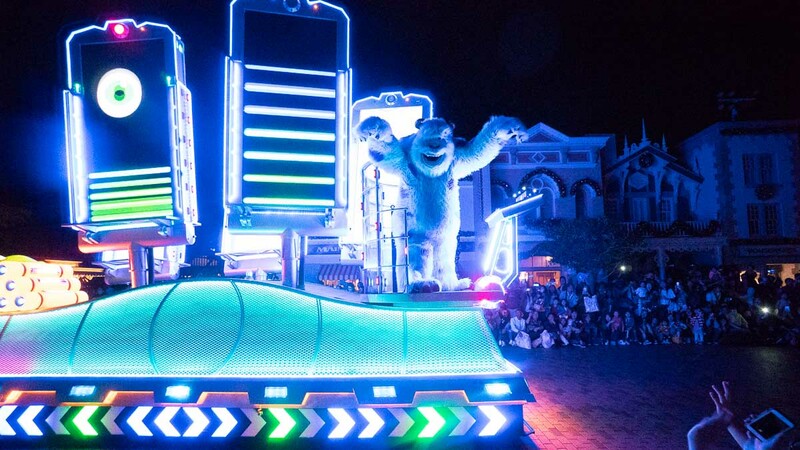 2) Disney Paint The Night Parade: a larger-than-life pageant with Disney characters on floating LED stages, shimmying to their most popular tunes. This half-hour show is the last available attraction after all the other rides have closed, and gets crowded quick. Secure good viewing spots at least 30 minutes before showtime. *Pro-tip: We recommend the corner near the gantry, which also lets you make a quick escape right after! 3) Animation Academy: a 20-minute class on drawing your favourite Disney characters. While instructions are in Cantonese, the steps are easy enough to follow. You can even take your masterpiece home! 4) Art of Animation: an exhibit with storyboards, paintings, and a cool Zoetrope machine that’ll take you behind the scenes of Disney’s animation process. 5) Flights of Fantasy Parade: a 35-minute daytime parade with huge floats and beloved Disney characters. If you’ve only time for one pageant, prioritise the more visually-stunning Disney Paint The Night Parade. 6) Main Street Vehicles: a one-way drive down Main Street in a charming vintage automobile. 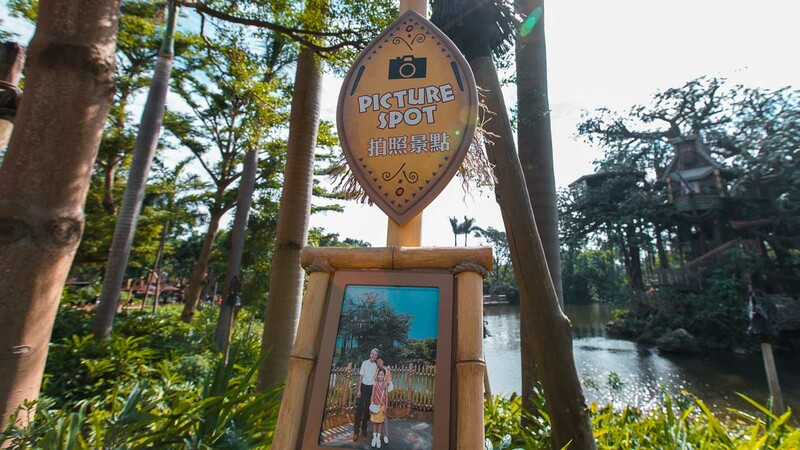 7) Royal Princess Garden: a photo-taking spot where you can meet Disney princesses! With its lush foliage, wooden huts, and lots of tiki, Adventureland makes you feel at home with jungle cuties Tarzan and Mowgli. 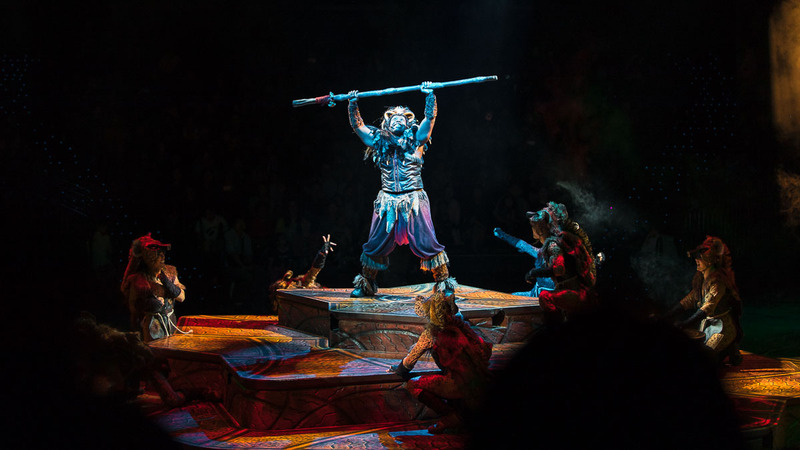 Festival of the Lion King: a live-action musical that puts a spin on the epic Lion King story. The singing, stunts, and animatronics were mind-blowing, and there were a couple of times I forgot this wasn’t Broadway! *Pro-tip: Best seats are at the back, on the side furthest from the entrance. 1) Jungle River Cruise: an exciting, family-friendly river ride where you’ll come face-to-face with (animatronic) animals, and some not-so-friendly natives. 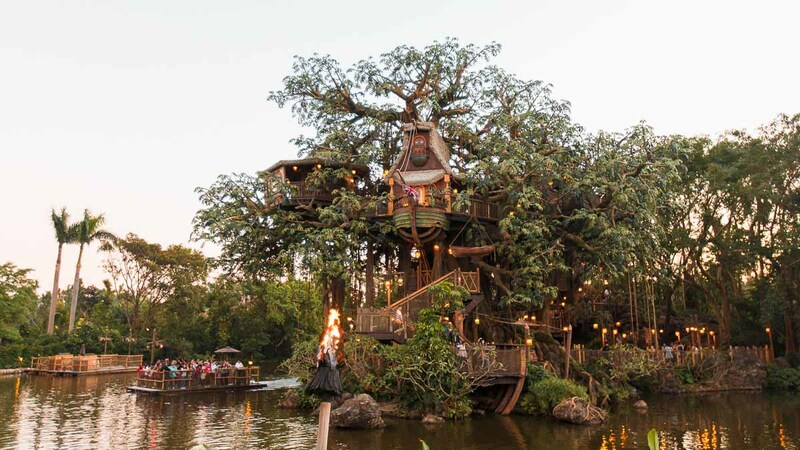 2) Tarzan’s Treehouse: a raft ride across the river where you can explore the musical props and knick-knacks at the iconic treehouse. Limited rafts are available so queues can get quite insane — don’t bother if it’s too long a wait. 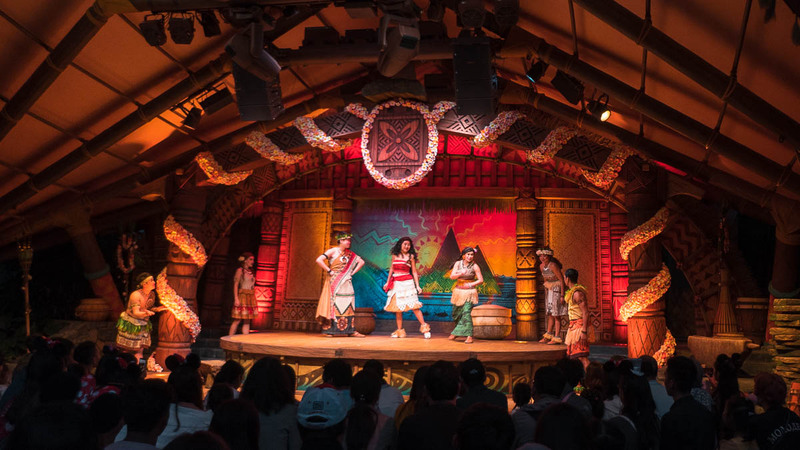 3) Moana: A Homecoming Celebration: featuring true-to-character acting and singing. This 20-minute show is more suited for kids though. 4) Liki Tikis: a water fountain area with large tikis you can make music with. 5) Karibuni Marketplace: where you’ll find carnival games and photo opportunities with characters from Up, The Lion King, and The Jungle Book. The Wild Wild West in the heart of the East! Here you’ll find spouting geysers and chuckwagons, amidst the buzz of the gold rush and sleepy cowboy tunes. 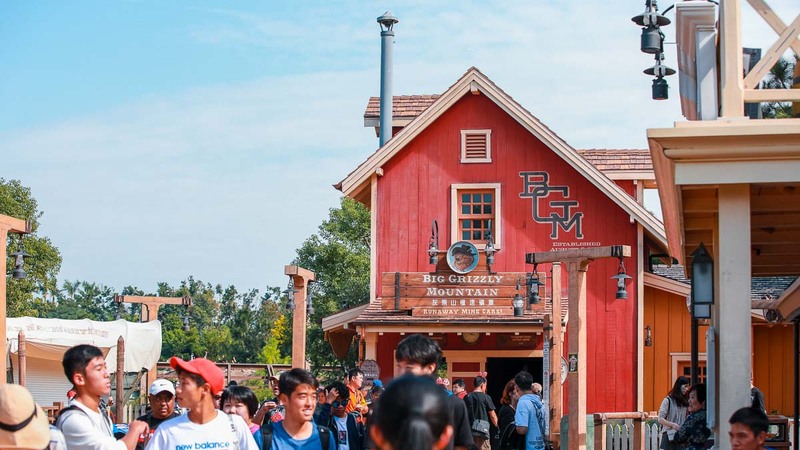 1) Big Grizzly Mountain Runaway Mine Cars: a thrilling old-school rollercoaster that’ll have you going backwards in time, amongst other surprises. 2) Geyser Gulch: a water-play area designed like natural geyser pools. 3) Grizzly Gulch Welcome Wagon Show: an interactive musical show that tells you more about the town’s history. 4) Wild West Photo Fun: a cute photo spot where you can place yourself in a wanted poster, jail cell, or next to a huge golden nugget! 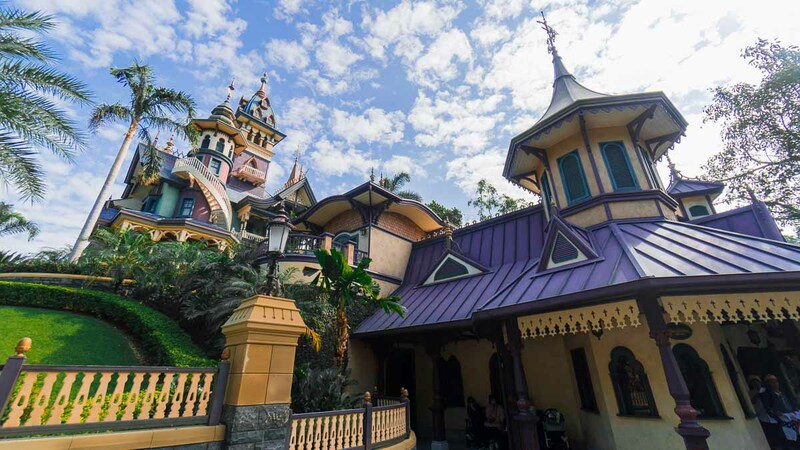 The latest expansion in Hong Kong Disneyland, Mystic Point takes you to the tropical wilderness of Papua New Guinea, where supernatural forces are at play. You’ll immediately spot the beautiful and intimidating Victorian manor, home of eclectic collector Lord Henry Mystic and his cheeky monkey companion, Albert. 1) Mystic Manor: without a doubt, the best ride in the entire park. If you’ve only got time for one thing in Hong Kong Disneyland, this is it. 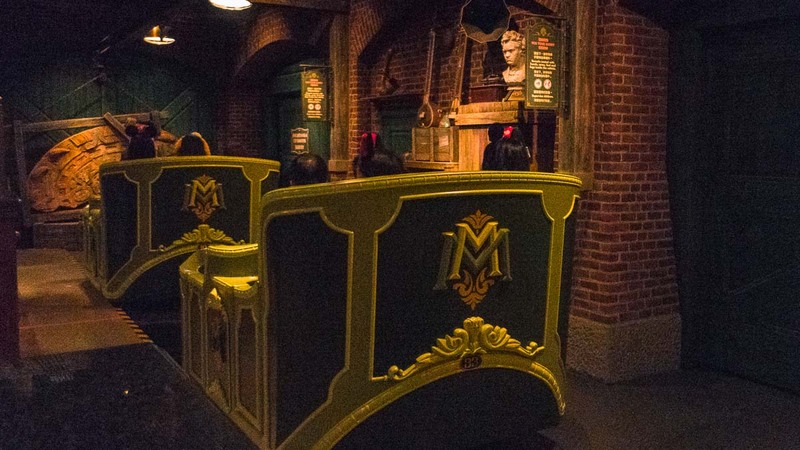 Mystic Manor’s ride design is akin to Disney’s Haunted Mansion, but the similarities end there. 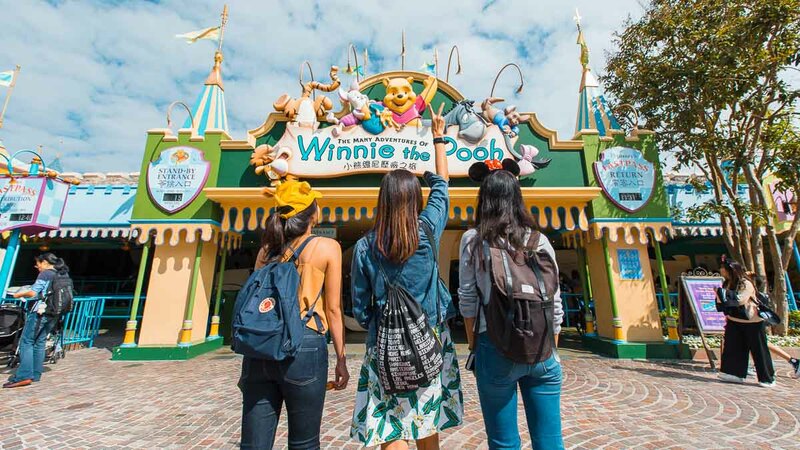 This Hong Kong Disneyland-exclusive comes with a unique story, adorable characters, and an immersive experience that’s full of surprises. Even adults will want seconds on this one — what the family-friendly ride lacks in thrills, it more than makes up for with magical effects and storytelling, as Lord Mystic’s exotic artifacts come to life. 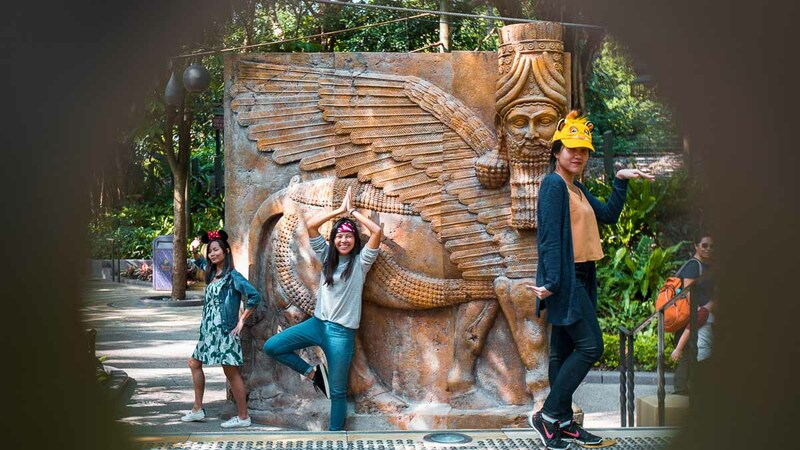 2) Garden of Wonders: a garden photo spot filled with 3D illusions. 3) Mystic Point Freight Depot: a photo spot with discoveries including a Mayan carving, and an enormous stone head from Ancient Rome. 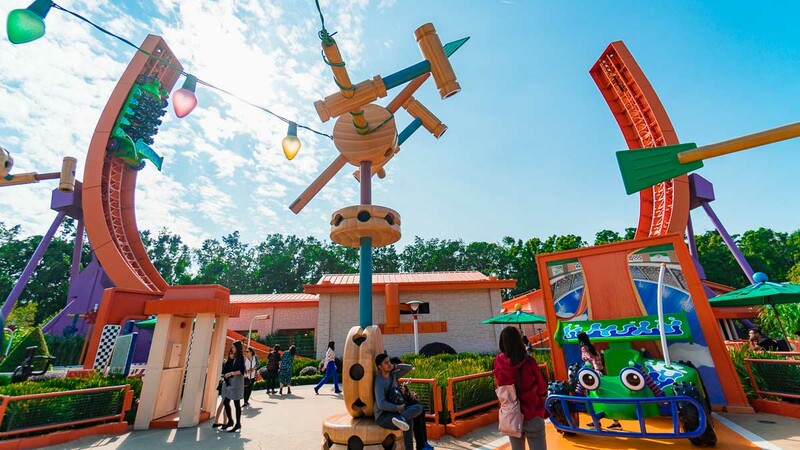 Tall, unkempt grass and oversized playthings make you feel like part of Andy’s toy box at Toy Story Land. 1) RC Racer: an intense half-pipe ride up and down a towering 27-metre racetrack. Don’t be fooled by the cute car and kiddie-like exterior — this one’s the epitome of a thrill ride. 2) Toy Soldier Parachute Drop: carries you up a tall tower before plunging down and back up, like a skydiving soldier. For a tower ride, however, the drops are tame and easy on the stomach, so enjoy the views and super-cute ride! 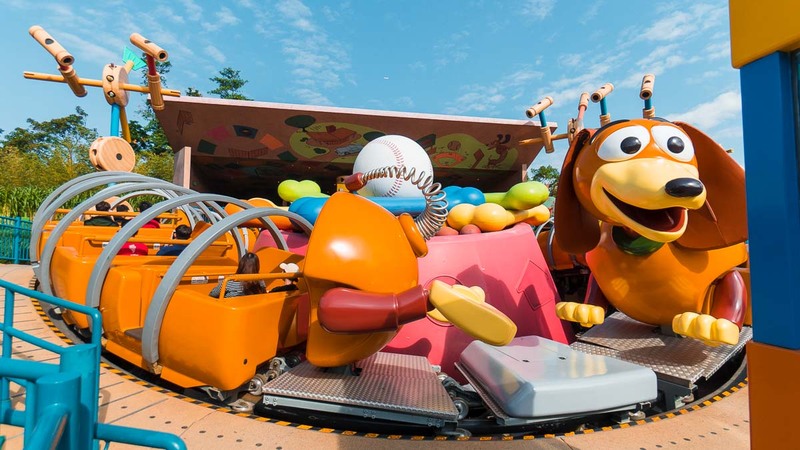 3) Slinky Dog Spin: a tame but fun Caterpillar-style ride on the adorable Slinky Dog. 4) Barrel of Fun: for photo opportunities with Woody, Jessie, and Buzz Lightyear. 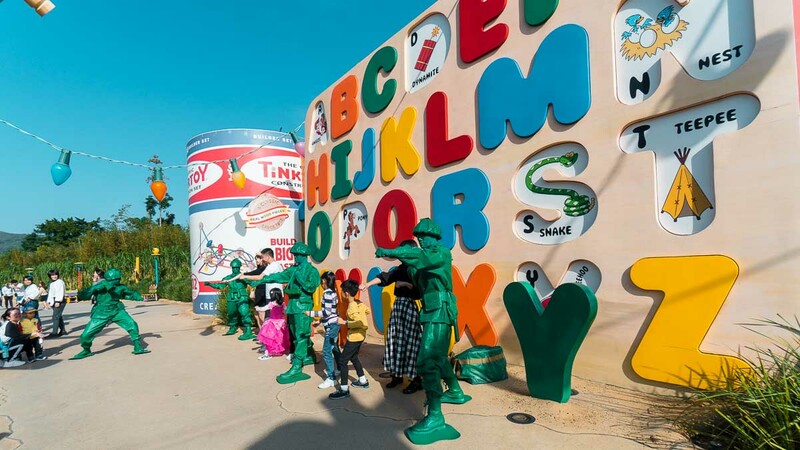 5) Toy Soldier Boot Camp: where toy soldiers train young volunteers in combat-ready moves. 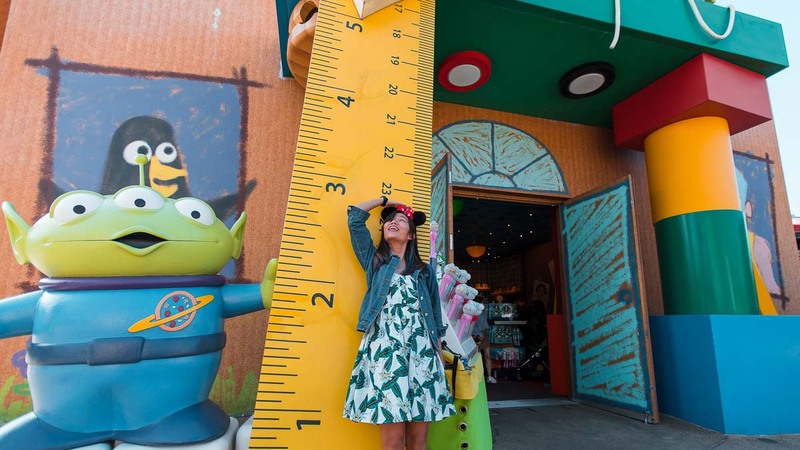 You’ll find them at the entrance of Toy Story Land, next to the statue of Woody — check with cast members for exact timings. 6) Cubot: an interactive, life-sized toy. Arrange its blocks into a combination of characters and watch how its voice and personality changes! Fantasyland brings classic fairytales to life, with dreamy decor and classic carnival rides. 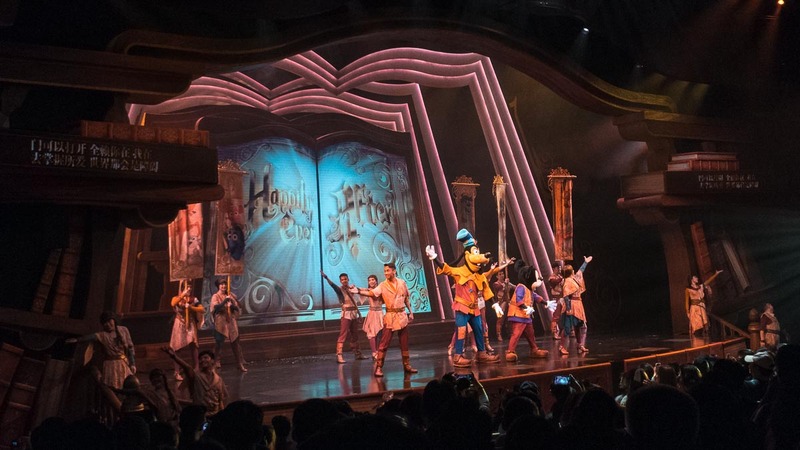 1) Mickey and the Wondrous Book: the best show in Hong Kong Disneyland. The 30-minute spectacle brings Disney stories to life, with innovative musical mashups and even characters from more recent movies like Brave and The Princess and the Frog! *Pro-tip: Arrive at least 15 minutes early to secure the best seats — at the centre and near the back, where you can see all the action and read the English subtitles easily. 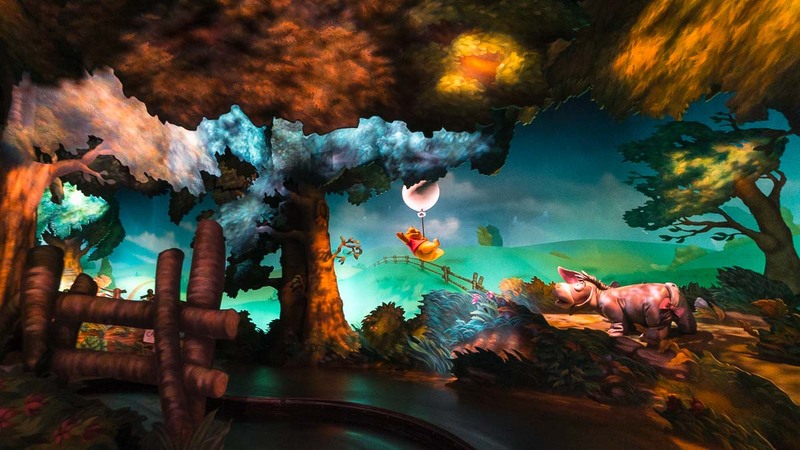 2) The Many Adventures of Winnie the Pooh: a whimsical spin ride that brings A.A. Milne’s beloved stories to life. 3) “It’s a small world”: the iconic indoor boat ride you can’t miss! 1) Mickey’s PhilharMagic: a 3D show that’s a Disneyland classic, with singalong songs, beloved characters, and humorous storytelling. 2) Fairy Tale Forest: charming small-scale recreations of classic fairytales. 3) Sword in the Stone: a show where guests are invited to test their worthiness by retrieving the legendary Excalibur from a large stone. Succeed, and you’ll become the rightful heir of England (in medieval times only, sorry). 4) Cinderella Carousel: a gorgeous merry-go-round with royal steeds and exuberant music. 5) Dumbo the Flying Elephant: soar on Dumbo’s back to a symphony of circus music. 6) Mad Hatter Tea Cups: a dizzying spin aboard a giant teacup in a blitz of colour and sound. You’re able to control the speed and direction of your teacup, so make your experience either kid-friendly or all-out crazy. 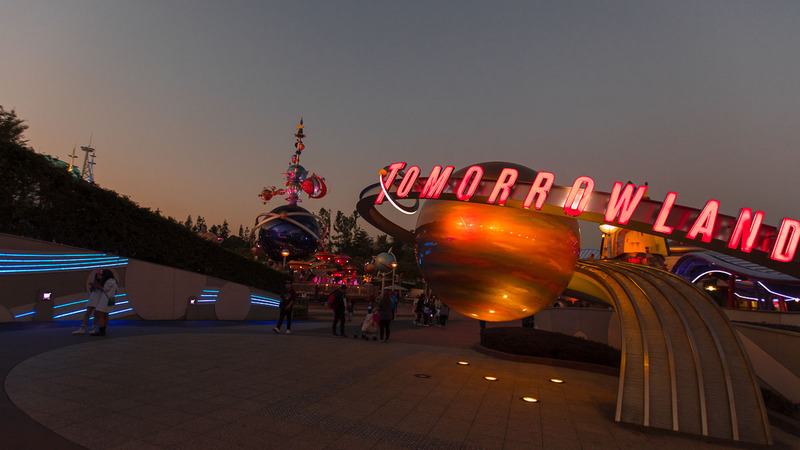 Tomorrowland is a dazzling zone that imagines futuristic technology and exciting space travel. 1) Iron Man Experience: the first-ever Marvel ride not found in any other Disneyland! 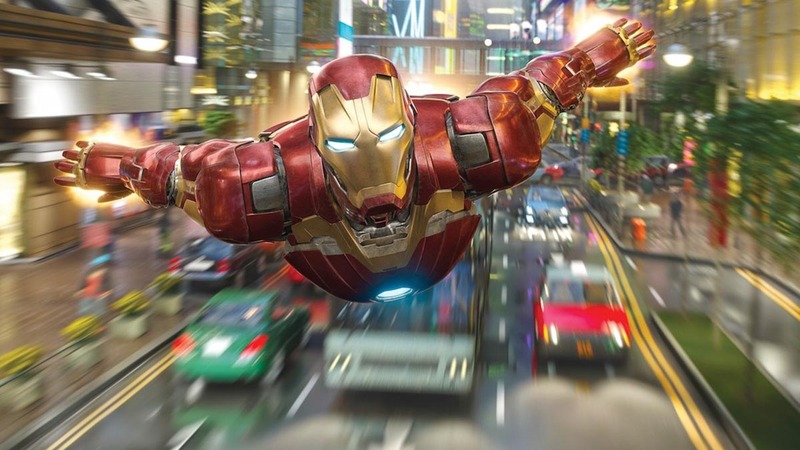 In this immersive 3D ride, the thrills come quick as you whizz over the Hong Kong skyline with Iron Man. It’s a super fun adventure that’ll have you shouting and cheering throughout! 2) Hyperspace Mountain: an exhilarating high-speed battle in outer space. This rollercoaster ride was non-stop excitement, from Admiral Ackbar’s countdown, to the rapid twists and turns as you dodge blaster fire, all timed perfectly to the Star Wars soundtrack. A welcome change from its previous iteration, Space Mountain! 3) Orbitron: pilot your own spaceship through a galaxy of planets. This ride’s best taken at night, when the planets light up in a blaze of neon. 4) Star Wars: Command Post: meet BB-8, R2-D2, and Chewie in a hidden Resistance base! 5) Jedi Training: Trials of the Temple: watch young Jedis get schooled in the Force. Cuteness overload! 6) Iron Man Tech Showcase: for a photo with the charismatic superhero himself. 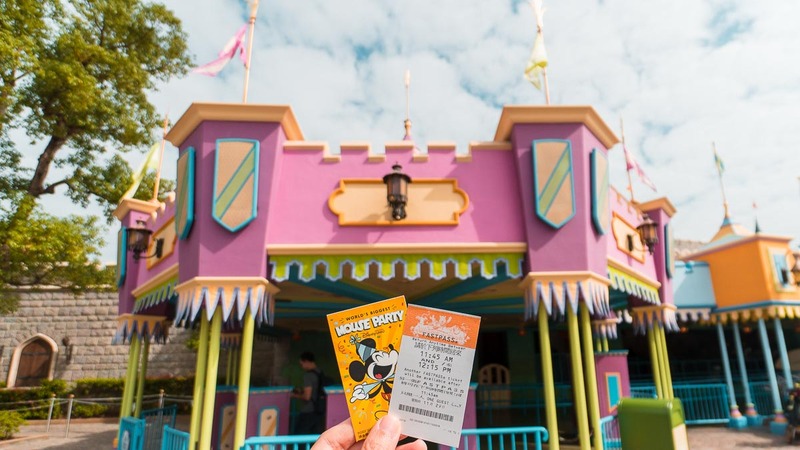 Hong Kong Disneyland’s FASTPASS lets you skip the main queue for popular attractions — and it’s completely free! 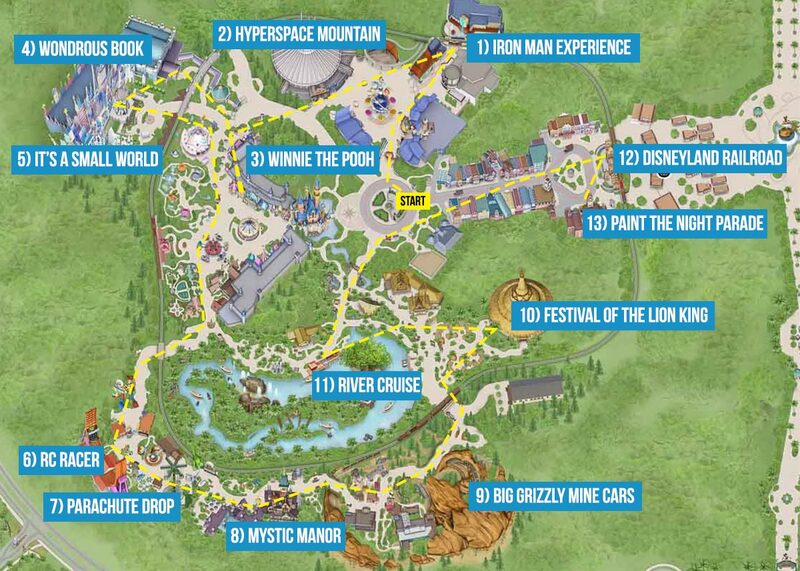 Currently, FASTPASS is available for crowd favourites The Many Adventures of Winnie the Pooh and Hyperspace Mountain. Just scan your park ticket and collect your timing ticket at the booths outside each attraction. 2) Collect Lots of Stickers! Our haul — let us know if you got any others! 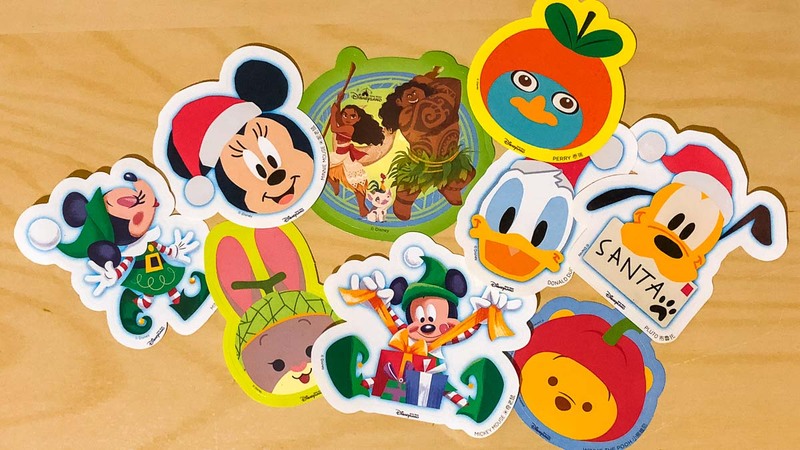 Cast members are equipped with unique Disney stickers, so don’t be shy to approach them and ask. There are even limited edition seasonal stickers at certain times of the year! Opt for the Single Rider option where available — this cut our waiting time for Toy Soldier Parachute Drop from 40 minutes to just five! 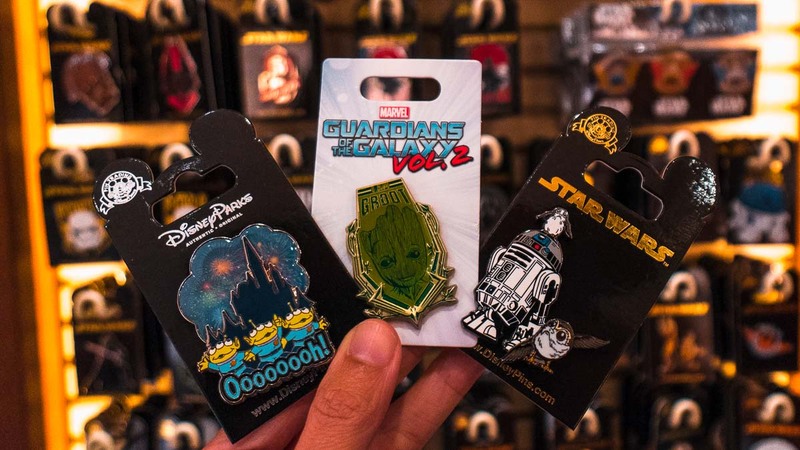 Pin trading is a huge (albeit relatively unknown) tradition at Disneyland, and Hong Kong is no exception. Choose a pin from the shop (from HK$75 – HK$105, ~S$13.10 – ~S$18.34), and trade with cast members around the park! 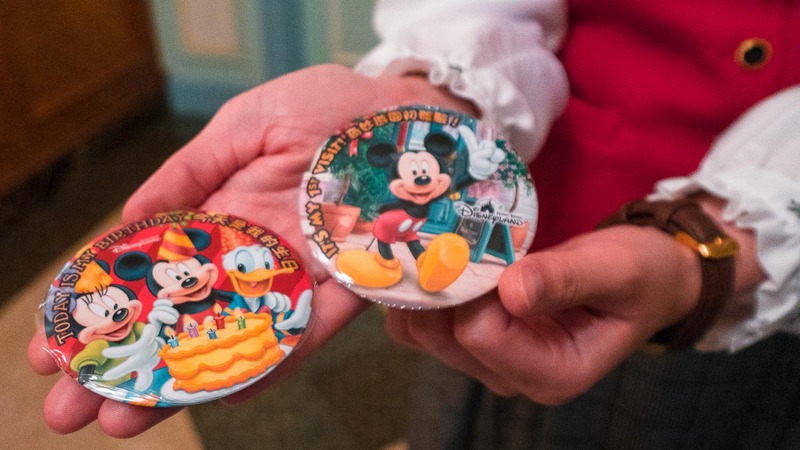 If it’s your birthday or first time at Disney, head to Guest Relations (located within City Hall on Main Street) and collect a celebratory badge. You never know what surprises await when you put it on! These often-missed signposts show you how to position yourself for the best photos! 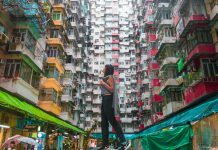 Both of the following itineraries include must-dos, but the Magic Route prioritises shows and scenic attractions while the Mayhem Route best suits thrill-seekers. Do note that Main Street opens at official opening time, while other lands and attractions open 30 minutes later. Also, an hour before park closing, attractions in all lands except Fantasyland and Tomorrowland close. We recommend spending 30 mins walking through the park to see the lights, then camping out at Main Street for the night parade. 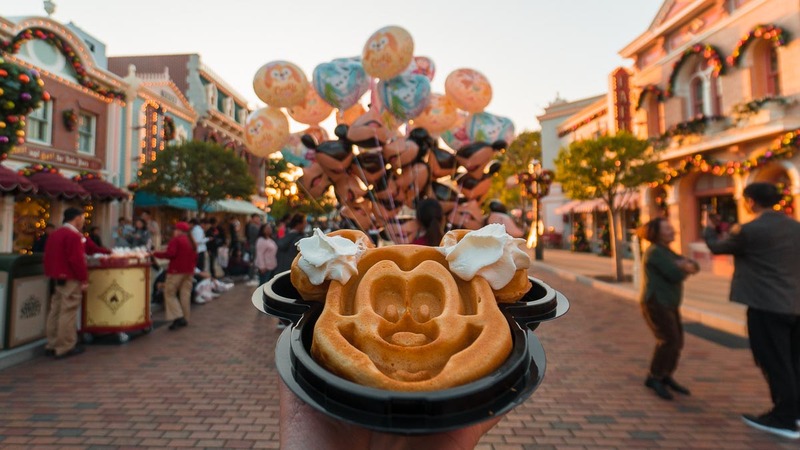 Theme park food doesn’t come cheap, so spend your money only on the cutest things! 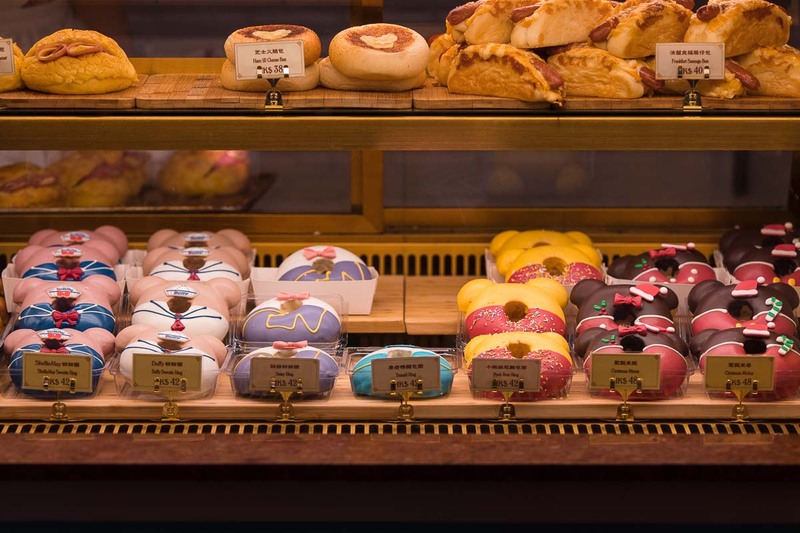 For main meals, you’ll find at least one themed food hall in each land, with prices averaging HK$100 (~S$17.46). Halal and vegetarian options are available too. If you’re on a tight budget, we recommend a light meal of fish and chips or chicken nuggets at Grizzly Gulch’s Lucky Nugget Saloon (HK$50, ~S$8.73). For a heartier meal, Starliner Diner serves affordable American fast-food from HK$99 (~S$17.29). We opted for the diverse spread at Fantasyland’s Royal Banquet Hall, serving a mix of international food (~HK$129, ~S$22.56 per meal). Bring your own water bottle, which you can refill at water fountains, usually found outside the toilets. 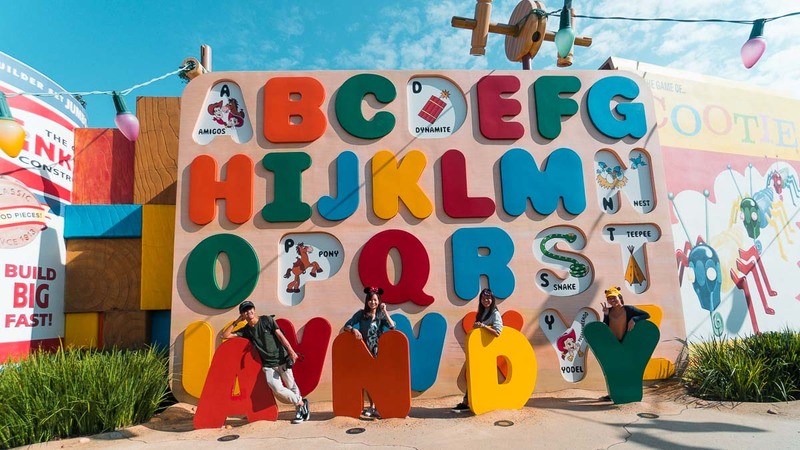 1) Is there a language barrier at Hong Kong Disneyland? Nope! The staff at Hong Kong Disneyland speak a mixture of Cantonese, English and Mandarin. Shows always include English translations, and there’s never a point where I didn’t understand what was going on. 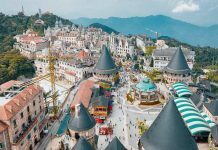 2) Should I stay at a hotel near Hong Kong Disneyland? Since the park is so accessible by public transport, it’s not crucial to stay onsite. 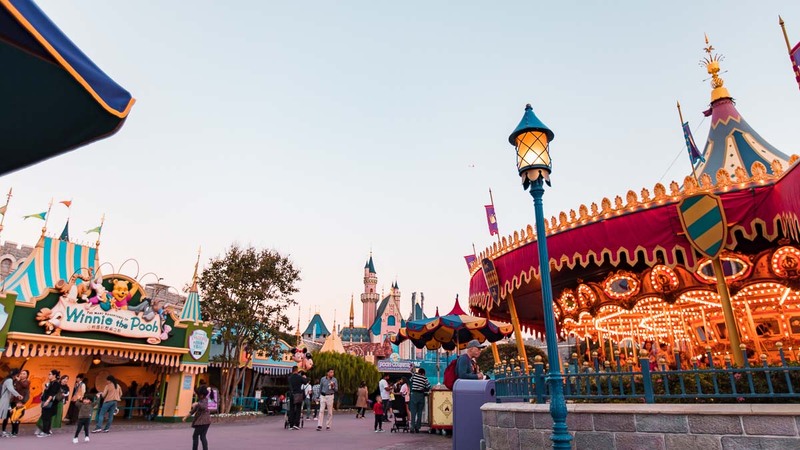 However, there are some cool benefits, like the walking-distance proximity to Disneyland, and special character dining opportunities. 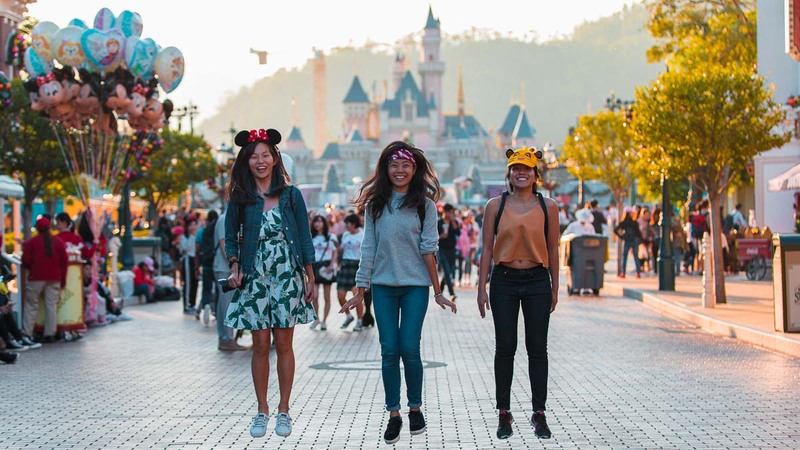 Level up your magical experience at one of the three hotels: the grand Hong Kong Disneyland Hotel, Art Deco-inspired Disney’s Hollywood Hotel, and jungle-themed Disney Explorers Lodge. 3) Is WiFi available? WiFi is available through most of the park, and is generally reliable. 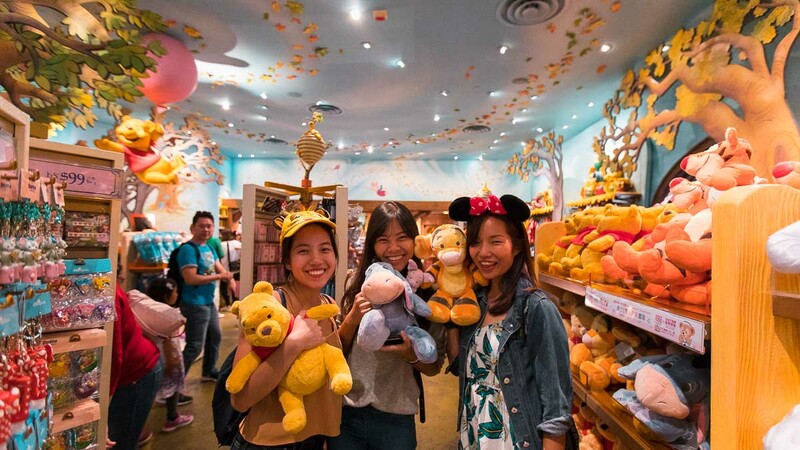 4) How long should I spend at Hong Kong Disneyland? One day is enough to cover Hong Kong Disneyland, though you’ll need to prioritise the highlights. Opt for up to two days if you want to take your time and enjoy every single attraction. Being avid theme park-goers, we know better than to buy tickets at the counter. 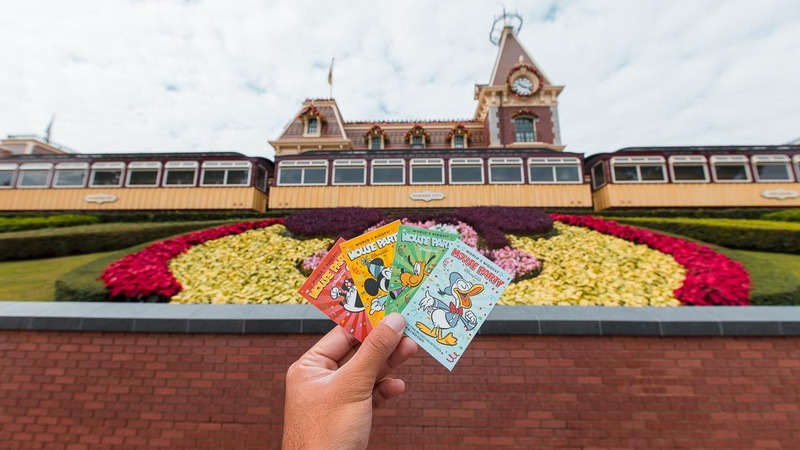 Counter tickets at Hong Kong Disneyland will set you back HK$619 (~S$108.61). Instead, pre-book your e-tickets via Klook, and get them at ~S$94! The tickets are open-dated and no physical ticket is required — just scan the QR code from the app and you’re good to go. 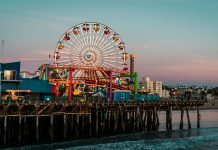 Note that if you purchase a two-day pass, your first visit must be on or before the expiry date, while the second visit must be within the next seven days. P.S. First time booking with Klook? Use promo code <TTIKLOOK> for S$5 off your first purchase! But wait, there’s more! 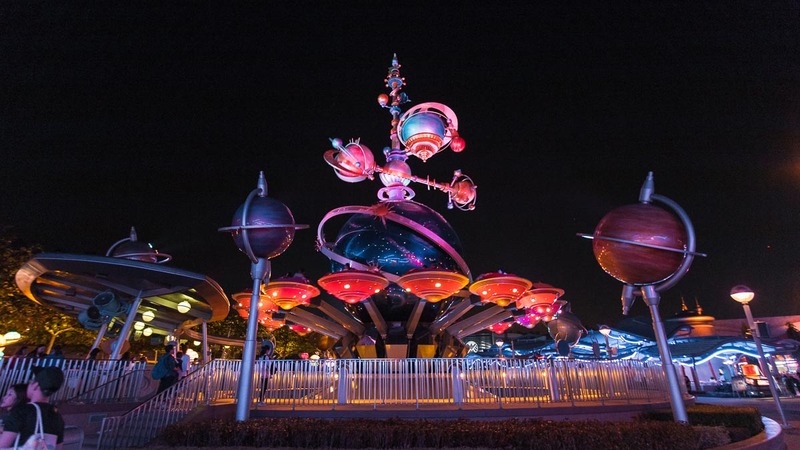 Hong Kong Disneyland has three big upgrades coming soon. 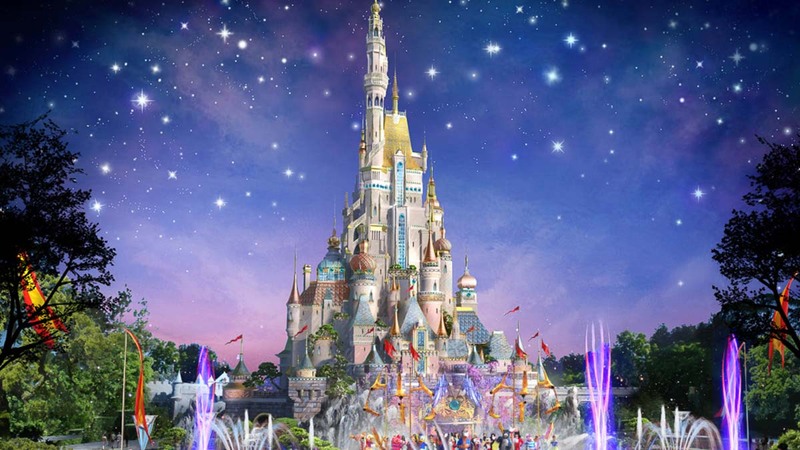 Sleeping Beauty Castle is being transformed to a never-before-seen design featuring classic and modern Disney princesses. This will be completed by end-2019 earliest, and will make “the only castle in the world in front of an actual mountain” even more iconic. Don’t worry if you’re visiting before that, though — construction scaffolding is minimal and no other attractions are affected. Also, stay tuned for Arendelle Kingdom from Frozen and Marvel Land, to be unveiled in 2020 and 2023 respectively. 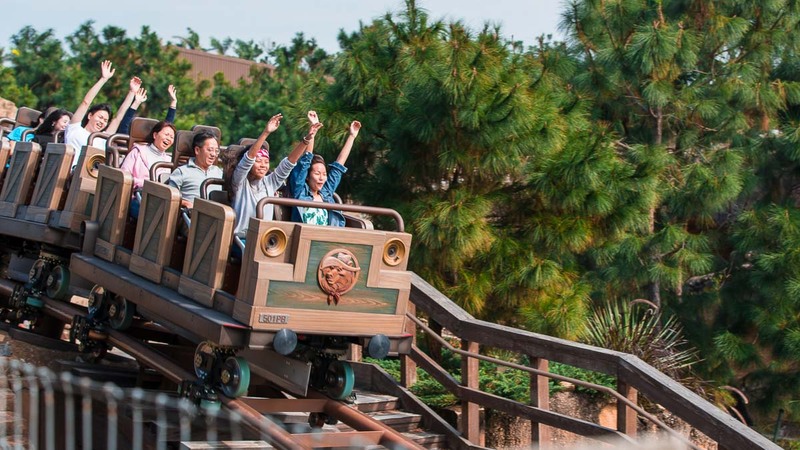 Have you uncovered any other secrets or tips for Hong Kong Disneyland? Share them with us!